Centre provides empirical evidence that challenges utopian visions of the internet as a brave new world with everyone connected to everyone else, a non-hierarchical network of voices with equal, open and global access. This latest ‘new’ world of ‘new’ media has not greatly expanded the news that we read or hear or changed mainstream news values and traditional news formats; neither has it connected a legion of bloggers to a mass audience. Rather, as the economic model for traditional news production stumbles and falls in the digital age, professional journalism has become the first casualty, the second, if we’re not careful, and pretty close behind will be the health of our democracy. We looked at the role of structural factors such as commerce, finance and regulation along with the cultural complexities of journalism, journalistic subjectivities and working practices. And we found an industry and a practice in trouble. Newspaper circulation and readership levels are at an all time low; there has been a tremendous growth in the number of news outlets available including the advent of, and rapid increase in, free papers, the emergence of 24 hour news and the popularization of online and mobile platforms; a decline in advertising revenue alongside cuts in personnel. With regard to local and international news production, the lack of economies of scale means that it is increasingly commercially unviable. The Newspaper Society notes that 101 local papers closed down between January and August 2009. In those that are surviving fewer people are doing more and more work. 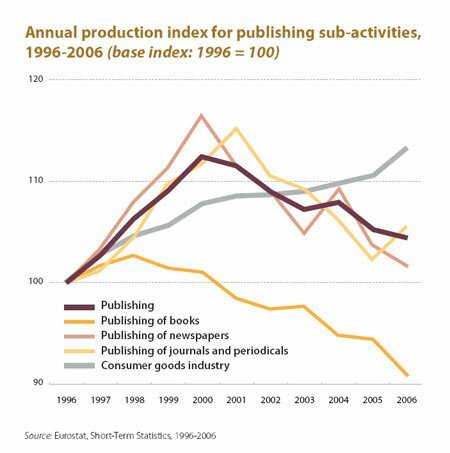 Now I know we may all say that about our jobs, but in journalism what we see is the perfect storm – a history of marketisation, deregulation and globalisation, throw new technologies in to the mix (bringing about yet more speed and space and more need to invest in technical infrastructure). These factors combined have had a negative impact on journalism for the public good and in the public interest. The working context of news media has increased pressures in the newsroom to fill more space (through the expansion of online platforms), work at greater speed (to fill the requirements of 24 hour news and the immediacy of online communication) with fewer journalists in permanent positions and more job insecurity. In this environment there is evidence of journalists being thrust into news production more akin to creative cannibalization than the craft of journalism – as they need to fill more space and to work at greater speed while also having improved access to stories and sources online – they talk less to their sources, are captured in desk-bound, cut and paste, administrative journalism. Ready-made fodder from tried and tested sources takes precedence over the sheer difficulty of dealing with the enormity of user generated content or the overload of online information leading to an homogenization of content as ever increasing commercial pressures add to the temptation to rely not just on news agencies but on all cheaper forms of news gathering. Given the speed of work, and the sheer amount of traffic and noise that journalists are exposed to every day, it is less easy for ordinary citizens and non-elite sources to make direct contact with reporters in mainstream media. In order for journalists to pick out the important information from the ‘blizzard’ online they are forced to create systems of ‘filtration’ based on known hierarchies and established news values. With so little time at their disposal journalists tend to prioritise known, ‘safe’ sources. So mainstream news on-line has not expanded to include a broader diversity of voices or shifted focus according to information filtered through social media. And even though there is now a plethora of media outlets, and citizens and civil society can publish media content more easily than ever, there still is a dominance of a limited number of players that control news, information content and public debate. In other words mainstream news matters, maybe more than it ever has done – and most people, most of the time get most of their news from it. Furthermore the organisation of web search tends to send more users to the most popular sites in a winners take all pattern. It seems ever likely that the voices on the web will be dominated by the larger, more established news providers in a manner that, yet again, limits possibilities for increased pluralism. What we’re left with is a contradiction between the transforming potential of new technologies and the stifling constraints of the free market. The material conditions of contemporary journalism (particularly unprotected commercial practice) do not offer optimum space and resources to practice independent journalism in the public interest. On the contrary, job insecurity and commercial priorities place increasing limitations on journalists’ ability to do the journalism most of them want to do – to question, analyse and scrutinize. What is the relationship between news media and democracy? A news media that can be relied upon to monitor, hold to account, interrogate power and facilitate and maintain deliberation is critical to a functioning democracy. In a world of one click communication and information overload protecting and enhancing a news media that can aim for this ethical horizon has actually become more important rather than less important. Without it we are left scrambling through the blogosphere, drowning in opinion, with no known serious fact-checking, no requirement to put stories in context, no real way of holding the writer gatherers to account. Where the well resourced and the already powerful are able to shout the loudest, twitter their way to the top of the pile while everyone else whispers in the wind. How do we preserve it and should government have a role in media structures and behaviour? Any government that truly believes in the basic principles of democracy should be prepared to provide the means by which it can function. This means regulating news media to provide the freedom to operate in the public interest rather than purely for commercial gain. To ignore this is to accept that the market can be relied upon to deliver the conditions for deliberative democracy to flourish. Markets do not have democratic intent at their core. When markets fail or come under threat, ethical practice is swept aside in pursuit of financial stability. How do we do it? My view is that we need to move towards a system of post-corporate, low profit or not-for-profit news supported by government funding that comes not from the Licence fee but from practices that are popular elsewhere in Europe such as industry levies and the charging of news aggregators that exploit news content.